How would the world respond to such a headline? What will the outlook of our planet be when the world’s greatest living herbivore no longer roams the African or Asian forests and savannahs? The prospect is not so unlikely, as many of us know only too well. Accellerated extinction of animal and plant species is a regular dish of our daily news in todays world. So let’s not get upset when it happens. 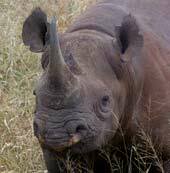 West African Black Rhino extinct. Another headline. But this one is not fictional. It is for real. It has happened, just recently. Check the National Geographic if you don’t believe me. It seems just a footnote. Some may shed a tear. Not simply because of the Black Rhino, but because we realize that this is just another chapter of an ongoing story. A sequence of events, over thousands of years, in which humanity grows larger and larger, six billion of us and counting, consuming, cutting down, killing off, building and skyscraping….well yes, an ongoing story. 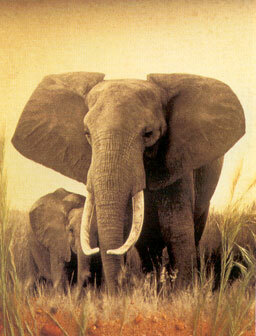 But can we still ask the question, on our way to wherever we go, whether the Elephant has a value to us? Whether we shouldn’t make all the effort to keep him alive and abundant? This isn’t just a question of ecology or environment, it is not just a matter of biology. We don’t even know what damage we cause in those terms. But there is also the damage to ourselves, to our humanity. I don’t think I could face my child or any child of future generations and tell them to forget about elephants, lions, rhinos, gorillas, bonobos, or any other free spirited mammal that we effectively cleared out of our way – just to have it all our way. Technically we may continue to live, but in our spirit we will have killed an essential element of ourselves. It is imperative that humanity address this development. It is imperative that we develop a Global Charter for the preservation and protection of animal life and that we implement this with discipline and rigidity. Who or what drives America?